Otterbox built a business out of rugged smartphone cases – the kind you want to have on your iPhone when you’re slumming it out in the wild. This time around, they want to offer the same protection for your food and drinks in the form of the Otterbox Venture Cooler. That’s right, the outfit is branching out to Igloo and Yeti territory. And they’re doing it with a product that presents a lofty claim, too, as it touts the ability to keep ice for up to 14 days. Seriously, that’s two weeks. 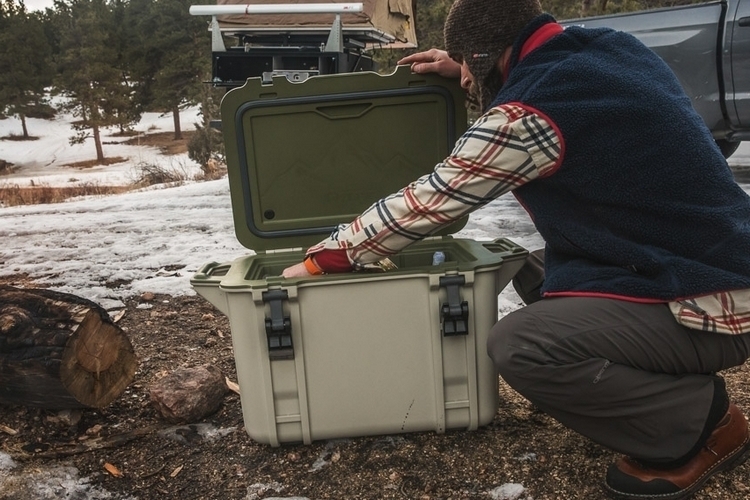 If the claims hold up, this might end up being one of the most capable ice boxes in the market. 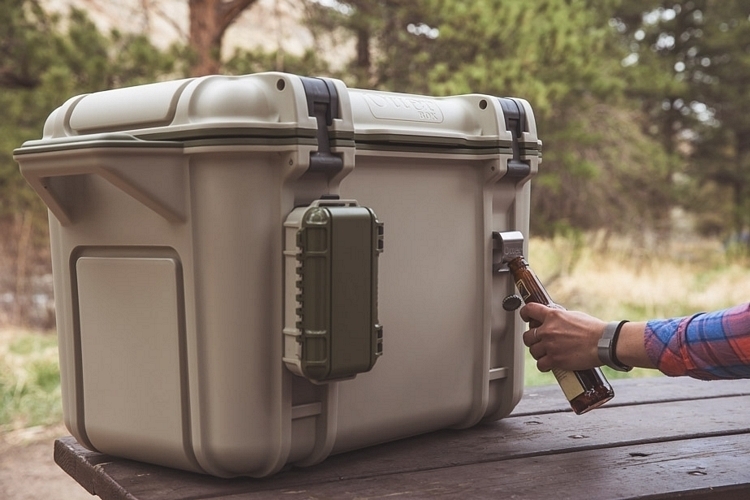 The Otterbox Venture Cooler comes in three models: 25-, 45-, and 65-quarts. 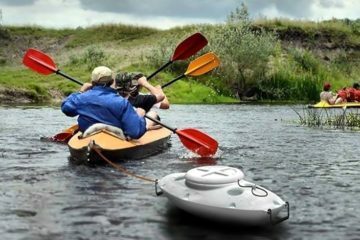 Those sizes should make it suitable for recreational users, whether for picnics, tailgating, or camping in the backcountry. It has an integrated mounting system that allows you to add different accessories to the cooler, including a cutting board, a dry storage tray, interior dividers, a side table, cup holders, bottle openers, and dry boxes. Simply put, you can turn it into a veritable station for eating and drinking. Features include durable carry handles that double as tie-down anchors, sturdy latches that can be opened and closed with one hand, a slanted bottom for easy draining, anti-slide rubber feet, and optional wheels (only for the 45- and 65-quart models). 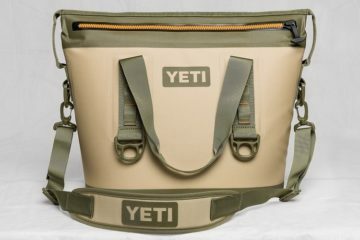 It comes in three colorways: white/blue, tan/green, and camo. Pricing for the Otterbox Venture Cooler starts at $249.99. I’ve never thought of Otterbox making anything other than bulky, but protective phone cases that do their job wonderfully. Their cooler called the Otterbox Venture Cooler is actually made out of the same materials protecting it similarly to your phone and keeping your food cool. I was shocked to read that Otterbox has basically blown away its competitors Igloo and Yeti by keep ice up to 14 days – which no other cooler does sucessfully. That’s amazing! 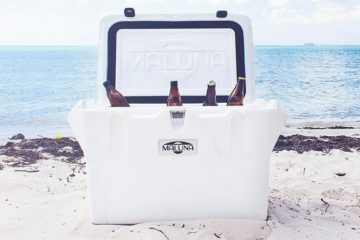 The cooler also comes in three different sizes and can have different accessories added to it, like a storage tray, side table, cup holders and bottle openers. 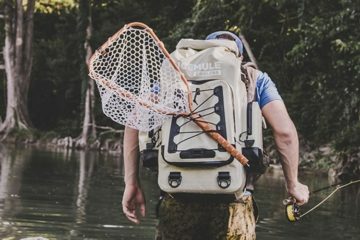 In my opinion this makes the Otterbox Venture Cooler the best cooler for camping and tailgating. I’d even consider taking it along for a picnic with friends as the smaller two sizes fit in my car perfectly. 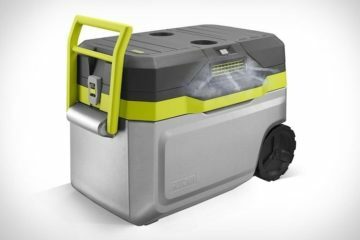 Plus it’s modestly priced, I’ll definitely be considering the Otterbox Venture Cooler the next time I buy camping gear and supplies. 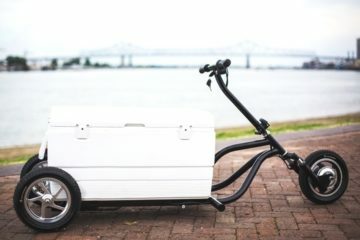 There are a few coolers that can keep ice for super extended periods, but they are expensive. 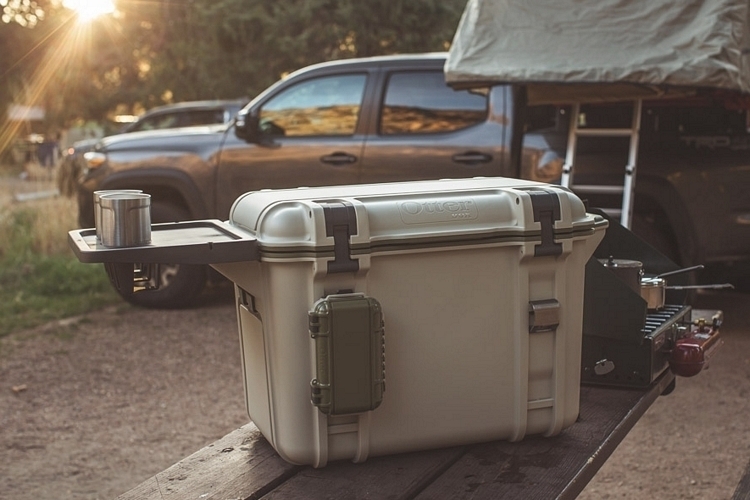 The Otterbox cooler is a great middle ground that might not be quite as effective as the very high-end coolers, but the Otterbox does work much more efficiently that the standard coolers most people generally buy. I think dollar-for-dollar, the Otterbox Venture can’t be beat. You also get the Otterbox lifetime warranty. If something stretches or skews not due to abuse, then Otterbox will fix or replace it. I have had many few rubber cases sent to me to replace the rubber cases that stretch out over time. The plastic never breaks, but the rubber over the plastic always seems to loosen too much overtime. I have found Otterbox to be great to work with and am very loyal to their phone cases. I hope I have the same results with their coolers.